Nicole Emerich, MA, OTR/L was born and raised in sunny South Pasadena. She completed her undergraduate education at the University of Southern California and continued on at USC for graduate school. 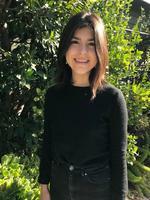 In addition to receiving her Master of Arts degree in Occupational Therapy, she also has diverse experience working with children ages 0 to 3 in various early intervention programs, as well as providing in-home therapy throughout Los Angeles. Nicole has a variety of interests in the OT world but has always loved working with children. She has a strong background in working with children with developmental delays, such as autism, learning challenges, and sensory integration challenges. Nicole is passionate about grounding her practice within the DIR/Floortime model and strives to provide family-centered care to all of her clients. In addition to her clinical work, Nicole assists and co-facilitates workshops and trainings addressing emotional regulation, sensory processing, and social-emotional development for early interventionists and mental health professionals. She also currently works as a Floortime Specialist with Greenhouse Therapy Center to provide support to children and parents in a relationship and play-based approach. When Nicole is not working with kids, she is hiking through California, traveling, reading, or walking around locally while listening to a variety of podcasts.